Massachusetts voters Tuesday rejected a ballot measure that would have instituted mandated nurse-to-patient staffing ratios starting Jan. 1. With 22% of precincts reporting, the Associated Press declared the ballot measure dead as 70.8% voters cast a "no" vote. "I'm very disappointed by tonight's results and the impact that this will have on our patients," Donna Kelly-Williams, of the Massachusetts Nurses Association, told WCVB-TV, an ABC affiliate in Boston. Massachusetts' measure would have required hospitals to have one emergency room nurse for every one to five patients, with new mothers and newborns receiving one-on-one attention. Medical and surgical nurses would have a maximum of four patients while psychiatric nurses would be limited to five. Each violation would carry a $25,000 fine per day for the employer. Massachusetts already has mandated staffing ratios in intensive-care units that went into effect in 2014. 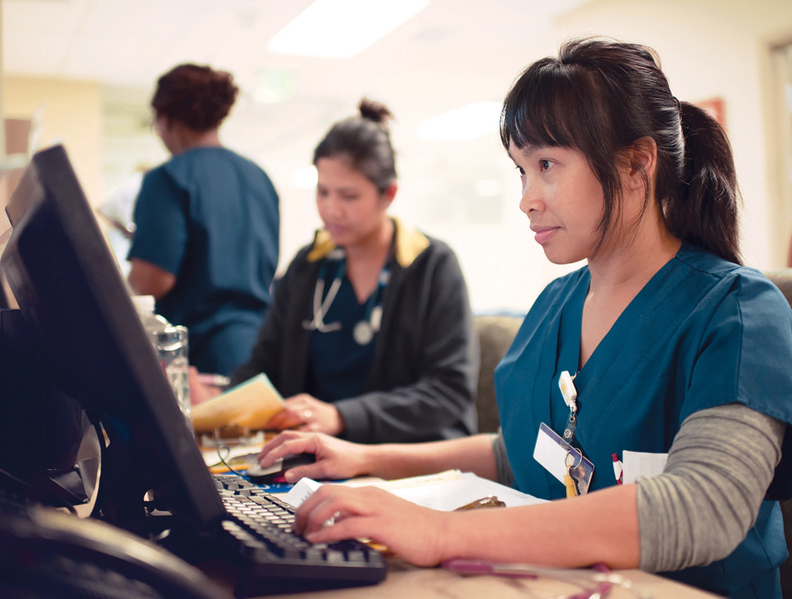 Its patient safety scores related to nursing are similar to California's, according to the Massachusetts Health Policy Commission. The news upset advocates who argued that overburdened nurses provide lower quality care and are more likely to leave the organization. They pointed to research that showed that fears related to safety-net California hospital closures or a less-skilled nursing staff never materialized. California is the only state that has passed mandated ratios in all hospital departments. In 2004, California implemented a law setting similar limits based on acuity and hospital setting. "We have shown that indeed 15 years after the passage of California ratios, California has experienced a more rapid decline in mortality than other states," said Linda Aiken, director of the Center for Health Outcomes and Policy Research at the University of Pennsylvania. Aiken was the lead author in a study that found that hospital nurse-staffing ratios mandated in California are associated with lower mortality rates and higher morale. Critics of the mandated ratios, including the American Hospital Association and American Organization of Nursing Executives, claimed that the mandated staffing laws would financially strain providers, particularly small community hospitals. It would also make staffing and scheduling more rigid, which could hurt morale, they said. "There are ways to deliver very high-quality care with relatively lean staffing levels," Michael Brookshire, a partner at consulting firm Bain & Co., told Modern Healthcare last month. The Massachusetts Health Policy Commission found that Massachusetts providers would bear an estimated $676 million to $949 million in additional annual costs related to hiring more nurses, pay hikes and new software to track patient acuity. Nurses unions said the costs would be closer to $47 million a year. "The rigid, one-size-fits-all approach proposed by the ballot initiative failed to acknowledge the complexities of staffing and undermined nurses' professional autonomy and decisionmaking in determining staffing on their units," Pamela Cipriano, president of the American Nurses Association, said in a statement. Although, the conversation spurred by the ballot measure has helped educate consumers about the importance of nurse staffing and its impact on quality patient care, she added. Hospitals would have to add 2,286 to 3,101 full-time registered nurses, pay them 4% to 6% more as demand increases and develop software to ensure appropriate staffing levels, the commission said. Providers would save $34 million to $47 million as they hire more nurses, resulting from reduced length of stay and fewer adverse events. A reduction in RN turnover and workforce injuries could also yield additional cost savings, the commission said. But analysis on the California law's impact on quality was mixed, the commission and other researchers found. There are some key differences between the California law and the proposed Massachusetts measure. The latter required that the hospital couldn't change other hospital staffing levels to offset the nurse-staffing requirements. Massachusetts providers would have also had much less time to comply with the new ratios compared with California's incremental implementation. The lobbying fight over the ballot measure attracted millions of dollars. Massachusetts Nurses' Union raised $5.7 million to pass the measure, while the hospital association's committee raised $10.5 million to defeat it. "I understand that American businesses are ideologically opposed to mandates; it's kind of not the American way," Aiken said. "It's OK if we think we will do these things voluntarily, but it's not true to say that mandates don't work."